Click HERE to download the free printable paper flower craft instructions, so that you can make marigolds at home. You can print the page, if you’d like. Or you can just save it to your computer. Paper flowers and fresh marigolds are a part of Day of the Dead celebrations here in the US and in Mexico. You may even see marigolds painted on faces. 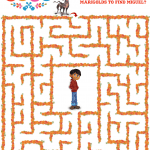 There are many marigolds in the Pixar Coco movie. 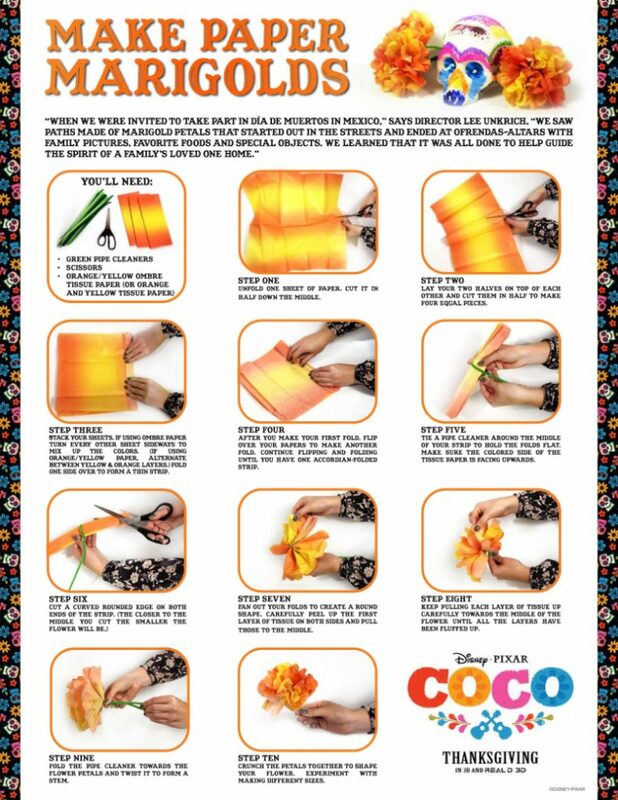 It fun to make paper flowers using these free instructions. 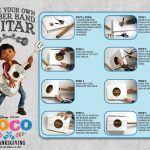 You’ll need tissue paper, pipe cleaners and scissors to complete the project. The photos illustrating each step will help you make pretty flowers. 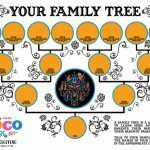 Older kids will be able to make them on their own and younger ones will need some adult help. You may end up with a house full of flowers, when kids get caught up in the fun. 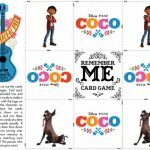 Also, check out the rest of my free Coco printables from Disney Pixar.